There’s a lot of buzz about LEED certification—Leadership in Energy and Environmental Design. Now that LEED for residential construction has made its way into the market, more people are learning about this environmental approach to housing. LEED is a system of scoring a building based on a point system throughout the planning, design and construction of a project. Points are gained for such practices as recycling building materials, using renewable resources, and reducing the emissions or waste from the building process. One thing to note: While energy efficiency is an important component to LEED certification, it is not the only consideration. Less-than optimal energy consumption can be offset by other elements that don’t necessarily save energy, but are tallied as beneficial to the environment in other ways. Katahdin Cedar Log Homes holds SmartWood certification for use in LEED applications, primarily because the Northern White Cedar we use is a renewable resource harvested from responsibly managed forests. At our mills, we use heat from our recycling biomass boiler to kiln finish the cedar after air drying. We recognize the value of local sourcing, recycling and fuel efficiency because it makes sense. However, in stretching to reach the high standards of a gold LEED certification, sometimes designers and developers lose sight of the forest for the trees. A recent documentary, The Greening of Southie, which was broadcast on the Sundance Channel, captured both the heady idealism of environmental approaches to building and some of the less-than-perfect realities of LEED building parameters. 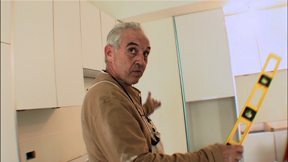 The documentary centers around the building of a “green” residential condominium building in the traditionally conservative, blue-collar “Southie” neighborhood of Boston. The construction crews are briefed about the green goals of the project and many are skeptical at first. As the framing rises of recycled steel, excitement replaces criticism among the workers who enjoy the idea of working on a recycled building. 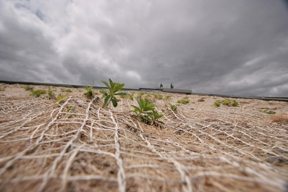 The film traces the origins of some of the more noteworthy components of the building including wheat fields in the Midwest and Bolivian rainforest. As the LEED points are tallied for fast-growing bamboo floors, wheatboard kitchen cabinets, and green succulents planted on the roof (above right), the workers realize the economic realities of the building: that most of them will never be able to afford to live in such a building. But as construction continues, important caveats begin to surface: the wheatboard cabinets that lack the chemical resin to stabilize the material begin to expand after installation (left). The bamboo floors installed for high “points” because of the rapid regeneration factor begin to buckle when the low VOC (volatile organic compounds) emission adhesive fails. The seedlings planted in the organic gridding system on the roof begin to die. When the bamboo flooring is completely ripped up and new bamboo flooring is reordered from China, some of the flaws in LEED points system became apparent. No penalty was accrued for fuel expended in shipping replacement bamboo flooring from the other side of the world. Ultimately the project was awarded LEED gold certification. Locality. Is the product produced locally or nearby? Some of the exotics that have gained favor—like bamboo flooring — may grow back quickly but take lots of transport fuel to make it to your home. Durability. A product’s lifespan can sometimes have a greater effect on greenness than its immediate green appeal. If the tile needs to be replaced in five years, then the environmental savings may be a wash or worse. Effectiveness. Ask the contractor about actual real-life application of the green product. Has he used it? What kind of results did he get? Did the amount of product applied increase or decrease to reach the same effect as the old product? A green product that performs is great, but a green product that needs to be replaced or re-applied is less so. Authentication. Has the product been tested and approved for the use by a recognized industry authority? 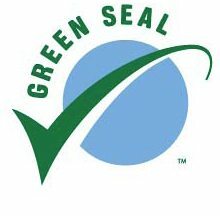 Green Seal is one non-profit third-party organization that reviews the environmental aspects of a product before certification. Green building is still in its infancy and as a result, the learning curve and price tag are still fairly steep. Despite this, many people are willing to make that investment in new green technology. If you’re willing to do the appropriate research and accept up front the possibility of some green elements not fulfilling their initial promise, progress will continue on the environmental building front.